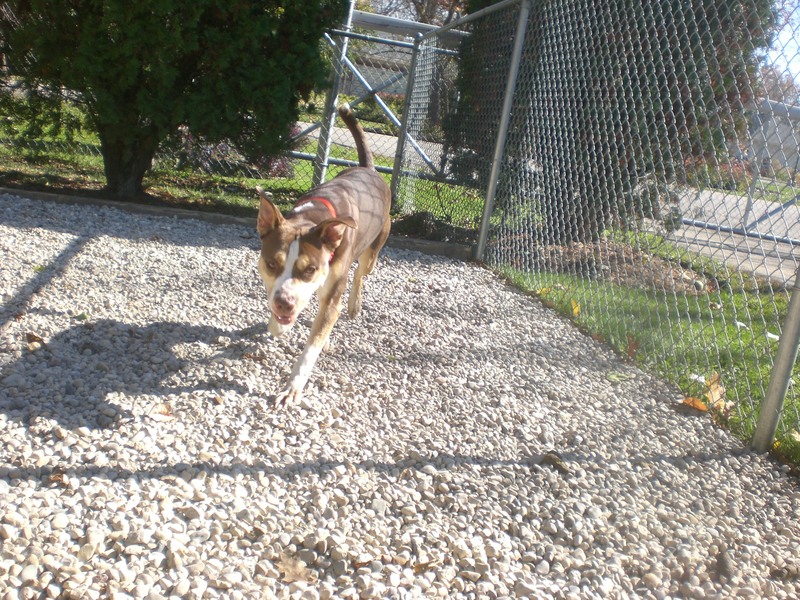 It was a beautiful fall day at Orphans of the Storm®, and the dogs (and cats!) at the shelter think that this is the perfect season for “fall”ing in love with your new, furry, furever friend! 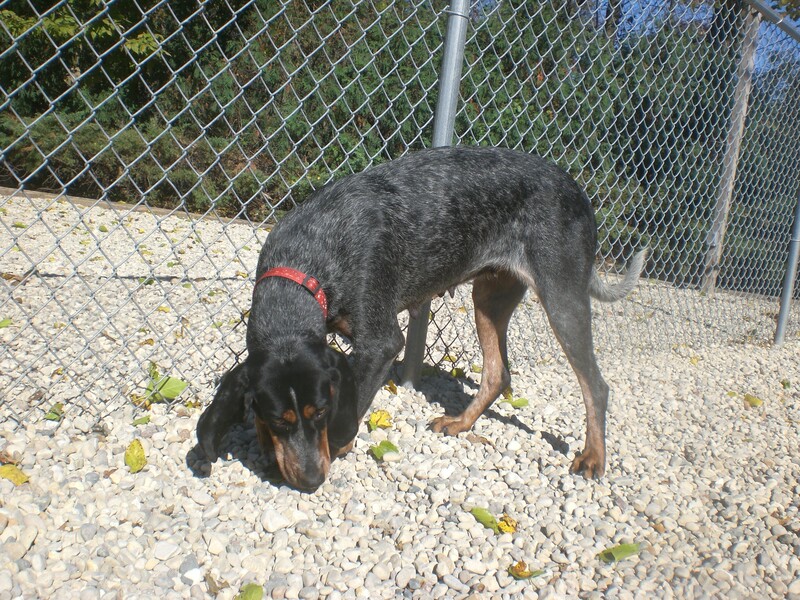 Myra the four-year-old Bluetick Coonhound mix is an absolute sweetheart who gets along with everybody. She was sharing her kennel with another dog who has since been adopted, so she’s definitely dog-friendly. She also loves people, and is gentle enough to do well with children. She’s a very mellow girl who doesn’t bark much (but when she does, she has that beautiful Hound voice!). Speaking of beautiful, Myra’s markings will certainly catch your eye. Myra enjoys a good snuggle session. She spent the first couple of minutes using that Hound nose to explore around the run, but when I knelt down and called to her, she came over and basically attempted to climb into my lap. She’ll keep her face right next to yours as long as you’re petting her–and she might even give you a kiss! 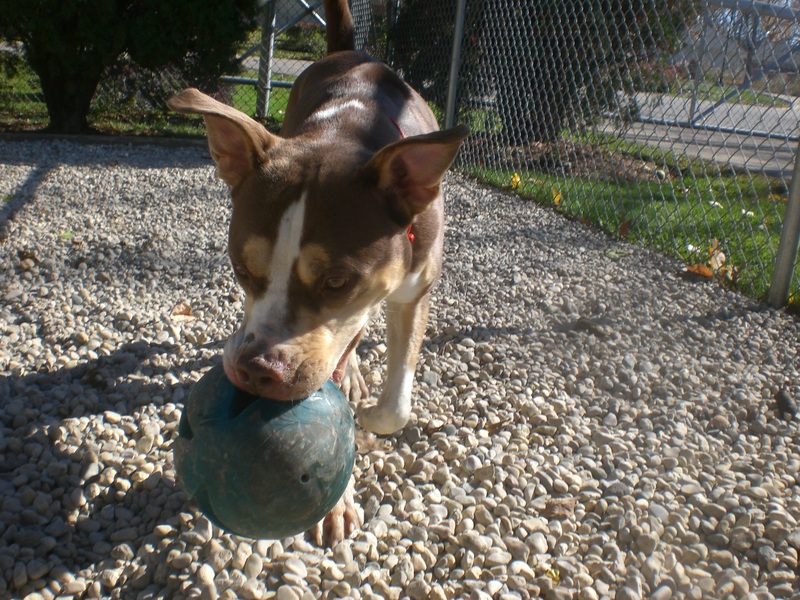 If you’re looking for a sweet and gentle dog who is happy to just be your companion, come in soon to meet Myra! Zoey the Pit Bull Terrier mix is anything but shy. There was no “get to know each other” period–as soon as I knelt down next to her, she covered my face in doggy kisses and we were officially friends. Zoey has plenty of energy and had a great time romping around the run, exploring under the bushes, and keeping an eye on things happening on the other side of the fence. She has adorable perky ears that stand straight up when she’s extra happy. Zoey discovered a big ball while we were in the run, and she loved playing with it and carrying it around with her. In fact, she liked it so much that she brought it back to her kennel with her at the end of our walk! She had no problems with me petting her while she chewed on her ball. 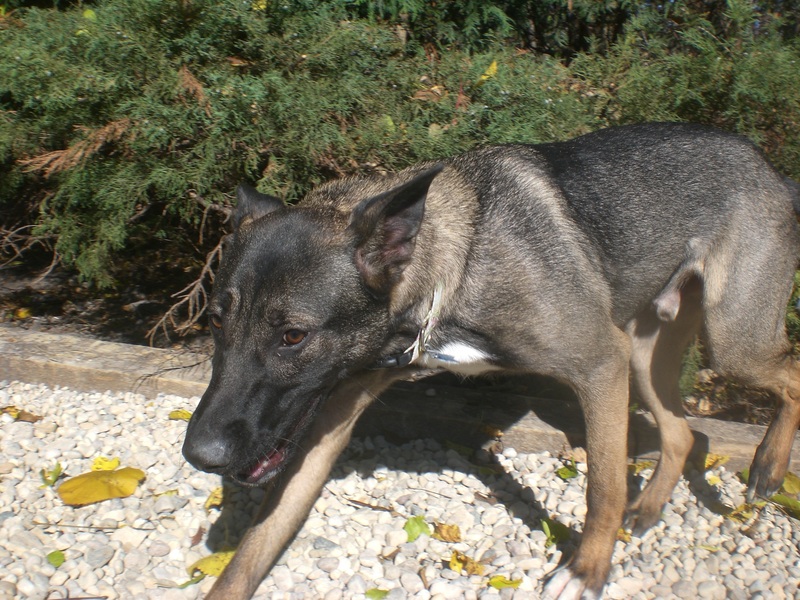 Zoey is a happy, playful girl who would do best as the only pet in her new home. If you’re looking for a fun friend, stop by soon to see if Zoey is the pooch for you! Zoey is a playful pup! Bode the one-year-old German Shepherd mix is definitely still in his puppy stage–in the best way! He’s energetic, playful, happy-go-lucky, and absolutely loves being around people. One of Bode’s favorite things to do is give doggy hugs: he’ll put his front paws on your arms and happily stand on his back legs while you pet him, while giving you a great smile and maybe a doggy kiss or two. Bode, being a breed that is part of the Working Group, wants to have something to do. We ran a lap or two while he was on the leash, and he stayed right by my side, so he would make an excellent running buddy. He was also interested in chasing the tennis ball that the dog in the other run was playing with, though he didn’t seem overly interested in playing with his own tennis ball. Bode is a great pup who will grow up to be a loyal dog. 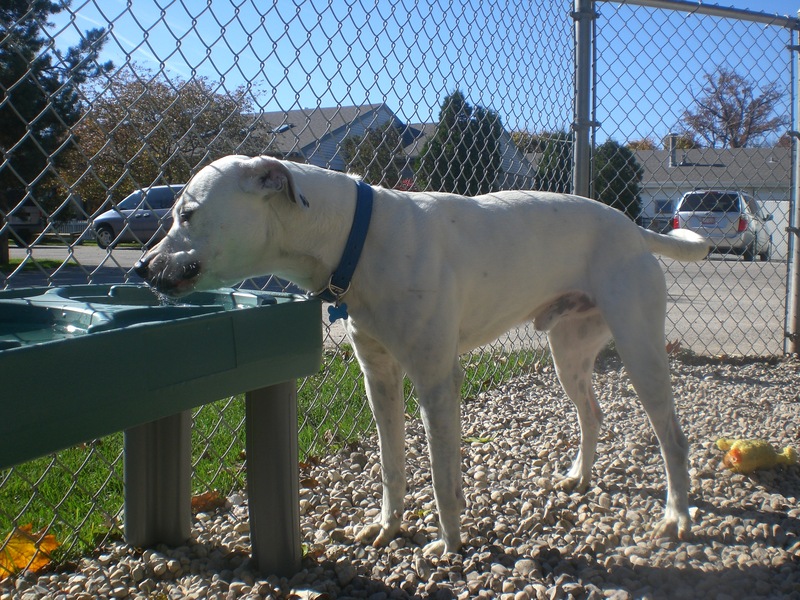 Come in soon if you think Bode could be the one for you! 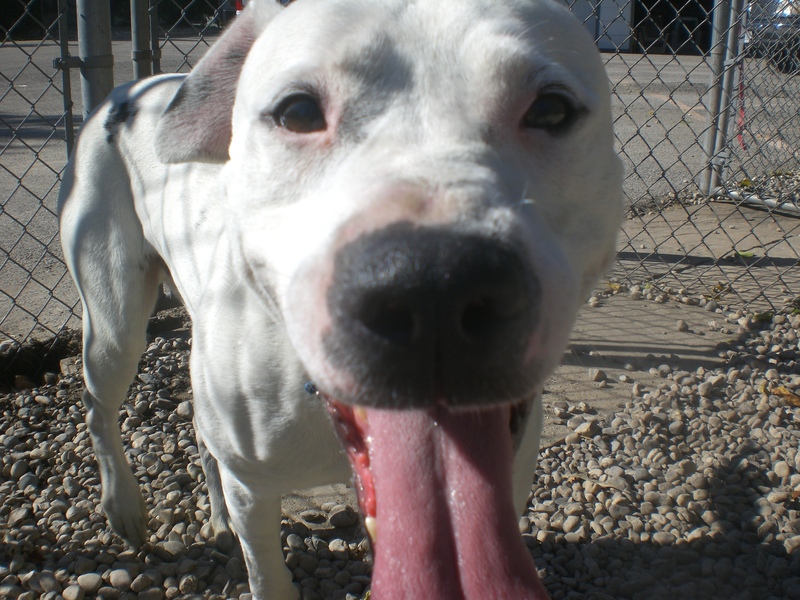 Gus the two-year-old Labrador Retriever/Pit Bull Terrier mix is, in one word, affectionate. If you’re looking for a new pooch to snuggle with, Gus is definitely up for the job. He rolled over for belly rubs, gave doggy kisses, and joined me when I sat on the bench. Gus is also just plain happy. His tail wags constantly and he loves saying hello to new people. Gus is super adorable. He has some black spots on his mostly white fur–a few more, and you could easily make someone believe that he’s part Dalmatian! He can bark a little when he’s inside his kennel, but he didn’t bark at all once we were out and about (though he did make some whine-y sounds when I didn’t let him say hi to other dogs). This happy, lovable boy will bring a smile to your face every day if you’re the lucky one to bring him home. Stop by the shelter soon to say hi to Gus! Gus sure knows how to take an adorable picture! I also spent some time with Ares, Wilbur (my favorite! ), Rosco, Daisy, Delilah (who was also at the Pooch Parade two weekends ago), Javan, Ranger, Sweet Pea (who truly lives up to her name–she gets along great with kids and loves to play), and Tom-Tom (who gave me the biggest doggy hug ever when he saw me). So many wonderful dogs for you to choose from! 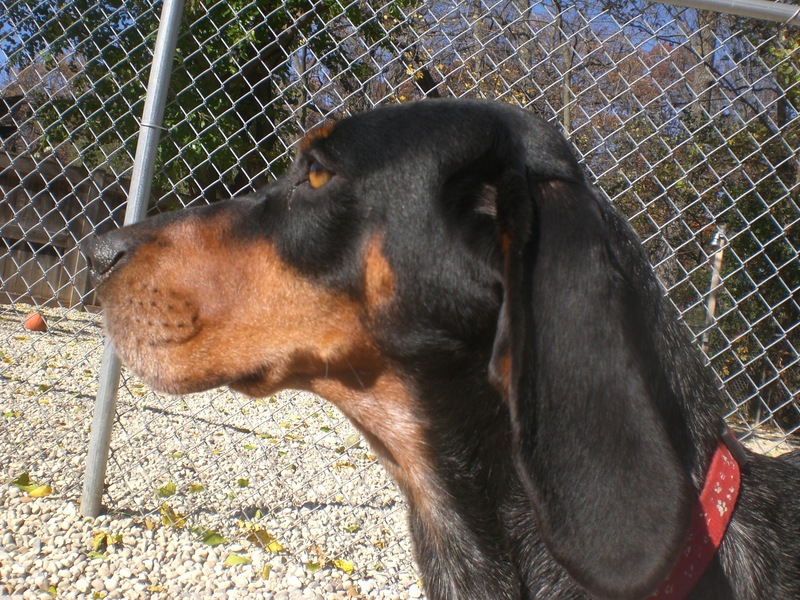 Posted by Meet the Pooches on October 30, 2014 in Dog Profiles and tagged adopt, animal shelter, animals, Bluetick Coonhound, Chicago, dogs, German Shepherd, Orphans of the Storm, pets, Pit Bull Terrier.